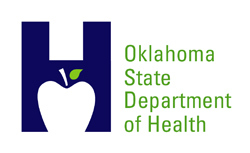 The Kay County Health Department announced Friday it is investigating a case of active tuberculosis in a student who attended Ponca City High School. Health officials confirmed the student was recently diagnosed with active tuberculosis. State and county health department officials have initiated an investigation including providing TB testing of household contacts and other close contacts to the student. School Superintendent Shelley Arrott said Friday the heath and safety of students is the district’s highest priority, and school officials are working collaboratively with both agencies as they conduct their investigation. Letters were sent Friday to school staff and to parents of students who may have had significant exposure and who are recommended to be tested for possible TB infection. This includes persons who had frequent and/or prolonged indoor contact with the student in instances such as being in specific classrooms or while on trips to sporting events, etc. Individuals identified as contacts will receive a skin test upon initial notification, followed by the same test three months later. If either test is found to be positive, a medical evaluation and chest X-ray is conducted by public health officials. Preventive medication may be prescribed to an individual with a positive skin test to reduce their risk developing active TB disease. Tuberculosis is an infectious disease caused by bacteria which usually affects the lungs. However, other parts of the body can be affected. It can be spread to others who share the same air space. Symptoms may include feeling weak or sick, weight loss, fever and night sweats. A person with TB disease may have a cough, chest pain, and/or coughing up blood. Persons who have not been contacted by the county health department do not need to be tested. However, if you are concerned or do not know whether a significant exposure occurred, contact the Kay County Health Department at (580) 762-1641. General information concerning tuberculosis can be found on the Oklahoma State Department of Health website at: www.ok.gov/health.